Wednesday’s storms took out all of TVA’s electric power transmission lines in Mississippi and North Alabama, and forced Browns Ferry Nuclear Plant onto diesel backup power and into emergency and automatic cold shutdown. McCollum said the reactors, now being cooled by backup diesel power, are safe. He also said the spent fuel pools also are being cooled by backup diesel power and are safe. The transmission lines are the monster power lines that carry electricity from TVA power plants to power distributors such as EPB and Huntsville Utilities. Now those utilities, along with a number of large industries that are wired directly to TVA transmission lines, will not have power until the lines are repaired, McCollum said. 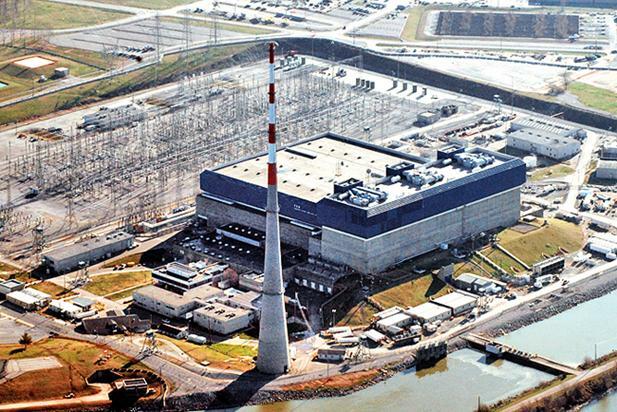 The loss of those transmission lines also caused Browns Ferry Nuclear Plant to lose power. When the plant generates power, it uses some of that power and the excess is sent out on the transmission lines. When those transmission lines can’t take power, it causes the reactors to trip, according to TVA officials. The spent fuel is not as well protected as the fuel in the reactor. In Japan, the spent fuel is now open to the atmosphere in at least two plants. The danger posed by the pools is significant. A U.S. study showed that a drained spent-fuel pool delivers a lethal dose of radiation to a worker at its railing in 16 seconds. Fuel rods in the pool are thermally hot and radioactive. They rely on water and circulation pumps to avoid reaching temperatures that melt the metal cladding around the fuel rods, a condition that releases radiation. Browns Ferry is more vulnerable to problems with the spent-fuel pools than are the plants in Japan. Delays in constructing a storage facility for depleted fuel — planned at Yucca Mountain in Nevada — resulted in Browns Ferry and other plants stockpiling the fuel in the cooling pools. 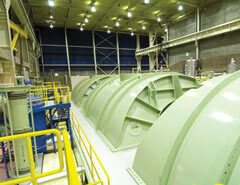 TVA is gradually moving the spent fuel to on-site dry casks, but the pools remain near capacity. A capacity that was increased by request of the nuclear industry resulting in closer spacing of spent rods than was originally designed into the system. That means they have more radioactive content than the pools at the Japan reactors, and they are more dependent upon electric pumps to circulate water within the cramped quarters. “Our spent fuel pools in the reactors like the one in Japan are almost filled to the brim, and the risk from the spent fuel pools — either from an accident or from an act of malice — are about as high as you could possibly make them,” said Lochbaum, director of the nuclear safety program at the Union of Concerned Scientists, which describes itself as a watchdog group that neither supports nor opposes nuclear power. Another issue that some experts fear will come into play in Japan involves the consequences of melting fuel rods within the reactor. If cooling efforts fail, the fuel rods ultimately will melt into a lava-like substance. The heat would melt the steel reactor vessel, allowing the melted fuel to drop to the concrete containment vessel. In Mark I reactors, the containment vessel is concrete with steel at the edges. McCollum said he is confident the authority’s reactors are safe, but TVA will seek to learn from the problems in Japan. “TVA’s plants are designed, built and operated to be safe,” McCollum said. “That’s our No. 1 mission. Our plants are designed to be very robust against all types of occurrences.